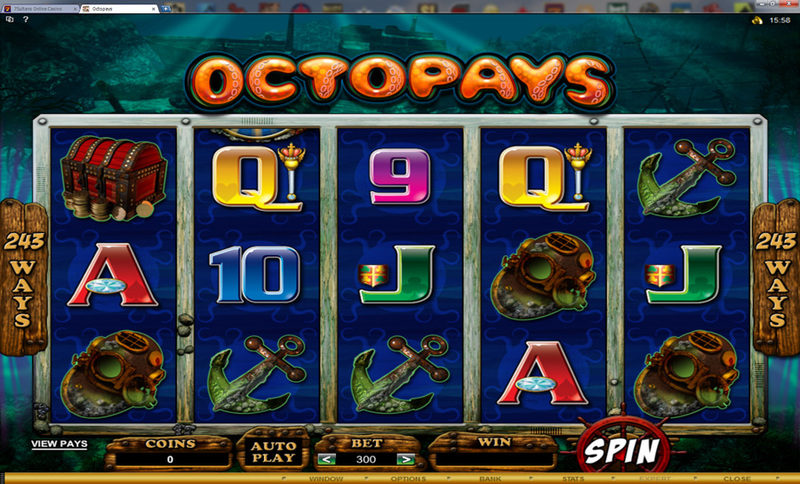 Octopays is a new online slot from Microgaming that has 243 ways to win with a unique and captivating under the sea theme. It’s not your average marine life theme and it’s definitely a nice change of pace from the everyday slot. The bonus feature offers free spins with random wilds and multipliers, and the coin sizes are perfect for any bankroll. Bet sizes range from just $0.30 and can go up to $150 per spin, of course not everyone can afford a $150 spin but it’s nice to know the option is there. The max pay-out in the game with any size bet can be quite a win and is well worth the spinning even on minimum bet. Now let’s get to the bonus feature. There are free spins of course which are activated by a wild, which is the baby octopus, on the second and fourth reel in a single spin. This will activate The Kraken feature and will award you with 12 free games. During the free spins the Kraken will randomly place wilds on the reels making it even more exciting and potentially more profitable. There is also a wild multiplier which is the Moray Eel symbol; should it appear will make all wins on the reels x2 and can greatly increase the chances of an awesome pay-out. The Kraken feature cannot be re-triggered for more free games. My view on Octopays is that it’s a new and exciting addition to the slot menu at most Microgaming powered casinos and there is more than enough reasons to give it a try. If you like 243 ways to win or just like the excitement of a new gaming possibility then Octopays can deliver. 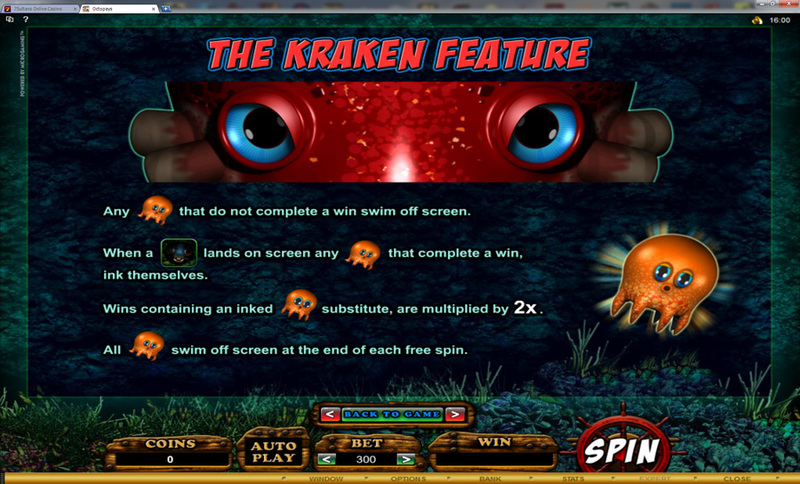 Also, when you get free spins, you get to say “Release the Kraken!”. Even though there is only one bonus feature, the theme and the pay-out potential is enough to give the game a good rating and although fairly new to the video slot menu a lot of players seem to enjoy it. There are always new gaming possibilities at Microgaming powered online casinos and should you want to find a place to play Octopays, check out our highly recommended casinos with this game and every other fantastic Microgaming powered slot.